It’s a seller’s market right now given the fact that the supply and demand balance is strongly in favor of sellers. You can get more information on the changing market here with these live updates. But you’d be mistaken if you think the power is all on your side. I’ve been involved in hundreds of deals over my career as a real estate broker and while every transaction is different, there are some common mistakes sellers make in a hot market. And when they are made, there’s rarely a good outcome for the seller. 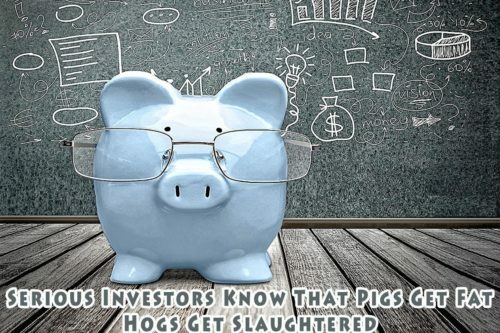 Look, I could call this one “…pigs get fat, hogs get slaughtered; don’t be a hog…” Greed will get you every time. Sometimes the highest price isn’t the best offer. Think about it this way, where is the balance of power in negotiations when there’s a bidding war? Of course it’s with the seller; there’s only one seller and multiple buyers. And then the seller picks a buyer and opens escrow. So how many buyers in the equation now? Just one. In California, the seller has no unilateral right to cancel a deal unless contingency performance standards aren’t met and even then, it’s tough. In escrow the balance of power just switched to the Buyer. Many times, after that Buyer “wins”; the first thought they have is “…oh ****, what did I just do? !…” If that happens get ready for a whole new set of negotiations as the Buyer tries to make up their perceived overpayment in repair negotiations after their due diligence investigations. It is possible to push a Buyer too far, then have the deal fall through and now you have a “tainted” property with Buyers wondering “what’s wrong with this house”. There’s an art form involved in creating the correct perception of value by the Buyer of a Seller’s home and this finesse comes with years of experience as a Broker. If you don’t clearly explain “the rules” in multiple offer situations, Buyers can perceive you as “dirty”; changing the rules on them and if that happens, the 4 offers you just got may become zero, as they all walk. I’ve seen it happen … many times. Sometimes, Sellers will choose to give an offer deadline that is too many days away. The anxiety this creates in Buyers often manifests itself in Buyers walking. Think you have multiple offers? Guess what, maybe now you have none. Consider giving a short period of time for offers; three days or maybe the Monday after the first weekend’s open house. Motivated buyers will come to the table and holding out for something more may bite you. The phrase “bird in the hand is worth two in the bush” comes to mind. You may also want to consider respecting a Buyer by responding to offers as they come. There’s a novel concept – mutual respect. And that respect can pay huge dividends when a Buyer perceives you as playing fairly. You’ve just increased the odds of your deal closing with minimum hassles and probably minimum re-negotiations over repair requests! There’s a common practice these days in which agents are counseling their sellers to counter multiple buyers with “come back with your last, best and final offer”. Many times this works just fine, but realize it is not without substantial risk as Buyers are often just walking away. If you were a smart seller, you got your own professional home inspection report BEFORE you put your home up for sale so that you can empower yourself with knowledge. What, you think a Buyer isn’t going to catch a defect? Their inspector will certainly find defects. Isn’t it smarter to know about them before hand so that you can either fix them or at least disclose them to the Buyer when they’ve made their offer. Think of the good will you foster when you do that. Consider how much better price negotiations will go in your favor when a Buyer trusts you. And if the Buyer does ask for repairs to be made, don’t be greedy, consider them and explore what concessions you can garner if you did agree to some repairs. So their you have it … it basically comes down to not being a hog. Be nice! Negotiate firmly, but always be fair.